Our pure, natural deodorant is clinically tested to effectively control odor for all day protection. Naturally sourced zinc ricinoleate, corn starch, and baking soda neutralize odor while tea tree oil and grapefruit seed extract, known for their antimicrobial properties, help fight odor-causing bacteria. 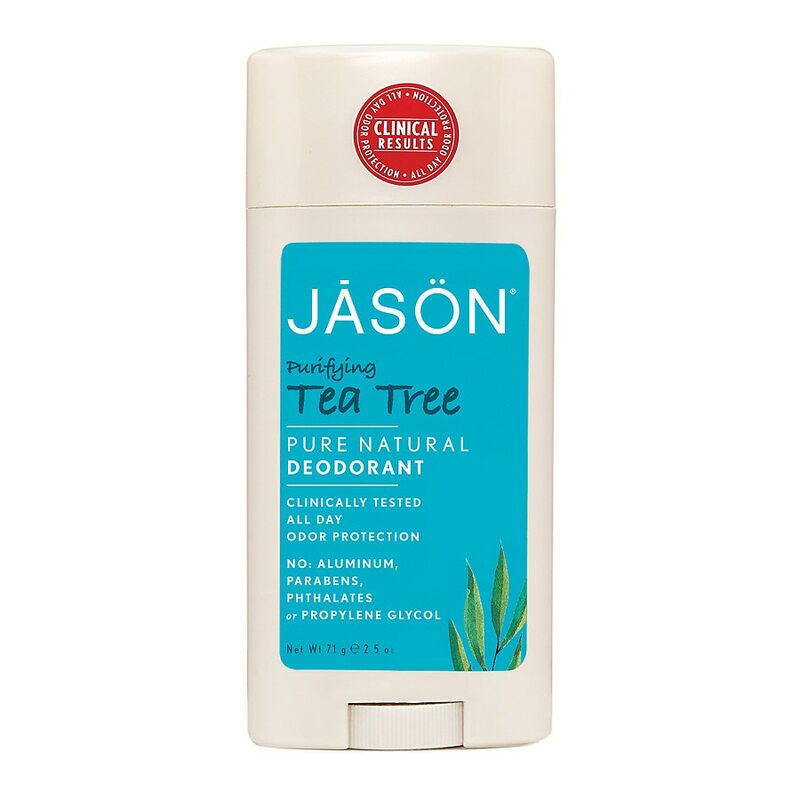 Born in 1959, Jason® has delivered safe, wholesome, no-nonsense, natural products that really work. Our formulas don't contain petrolatum, sodium lauryl, or laureth sulfates, parabens, or phthalates. And we never test our formulas on animals. For external use only. Keep out of reach of children. Immediate post-shave application may cause slight skin irritation. If rash or irritation occurs, stop use and consult physician.